What you do on a day to day basis has a bigger impact on your skin than you may think. You may just assume that a quick wash at night is going to take care of your skin for life. Wrong! If you want to have the healthiest skin possible, you need to make sure adjust your lifestyle for it. 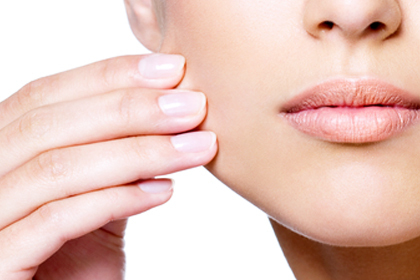 Here are five habits you may have that cause damage to your skin. Drinking isn’t really good for any part of your body, so you need to do this only in moderation. Of course, the occasional girl’s or guy’s night isn’t going to turn you into a raisin overnight. Nevertheless, it’s a good idea to control your habitual drinking if you go out on a regular basis. Limit yourself to one glass or can of whatever beverage you like, and then stick to water for the rest of the night. Your skin will look better as your body establishes a normal function. Cigarettes are full of toxins that dull and damage your skin. Marijuana and cocaine obviously aren’t any better. If you have been smoking for a long time now, you may have already done serious damage to your skin, from the inside out. Try to quit as soon as possible, and go on a cleansing diet to get rid of the crap that’s stuck in your system. Finish off with a microdermabrasion treatment to remove surface issues, and you’ll start to look the way you should. It doesn’t matter how busy you are. You need to find some time in the day to go to sleep. If you are staying up night after night, your body doesn’t have any time to reset itself. What does that mean for you? Wrinkles, dry spots, pimples, and a sea of other problems you don’t want. Rest well at night and then tackle tomorrow’s problems tomorrow. You’ll find yourself more efficient this way in the long run. Stressing out may not be a habit that you develop willingly, but it is something you need to break. This is going to mess up your digestive system, your sleeping schedule, and your skin’s ability to keep itself clear. You’ll soon get dark circles, bags, and everything else you don’t want to see on your face, all because you can’t stay calm. Just breathe for a second and let the weight of the world fade into the distance. Finally, you need to work on a little thing called laziness. This is a big contrast to the two habits mentioned above, but it can be equally damaging to your skin. Stay active and healthy, and you will be rewarded with clear skin. I guarantee it.